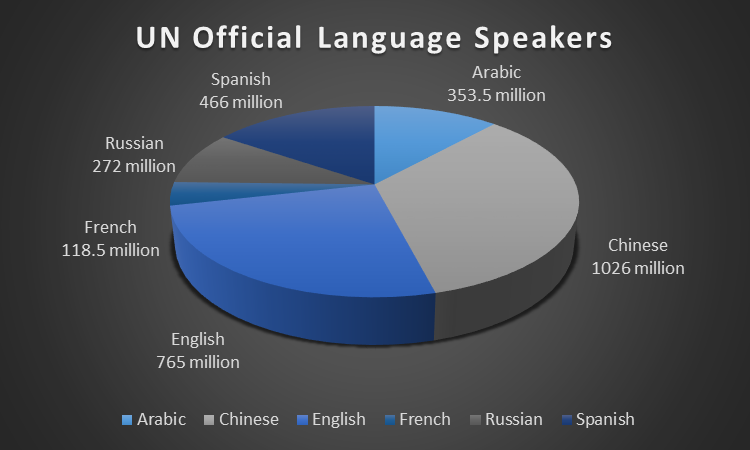 The United Nations (UN) are big promoters of multilingualism and this week is no exception. The UN Academic Impact (UNAI) and the ELS Educational Services launched a student essay contest to promote international education and multilingualism. Entrants should submit an essay written in one of the six official languages of the UN: Arabic, Chinese, English, French, Russian and Spanish as long as it’s not their native tongue. The theme of the contest “Many Languages, One World’, focuses on multilingualism in a globalised world and supports communication between all global citizens. The UN is a global organisation, which understands the challenges in making hefty volumes of content available in different languages. In 2001, Kofi Annan, UN Secretary-General at the time, suggested there was a linguistic imbalance with the UN having a tendency towards English. The reasons behind the imbalance boiled down to high translation costs and a lack of resources. Ten years later, in 2011, the World Intellectual Property Organization (WIPO) in collaboration with the UN, trained their Moses technology based Machine Translation engine, using approx. 11 years of translated UN documents (2000 – 2012), which were provided by the UN’s Documentation Division (DD). The Tapta4Un was born – a Statistical Machine Translation (SMT) engine for professional UN translators. The UN had used Google translate and Bing Translator to translate their publicly available documents at first, and with good results. But as data from other organisations was added to those engines, the quality of UN translated documents began to decrease. The TAPTA engine, built with customised UN training data, provided a much higher quality Machine Translation result and higher BLEU scores compared with google translate. This paved the way for the ‘gText’ project, a global UN project, which is the product of the positive adoption of Machine Translation, tasked with integrating computer aided translation (CAT) tools into the document workflow.